Whether you work a lot or are exhausted from parenting day in and day out, it’s always nice to spend some time with your spouse. One of the downfalls of dating your spouse is the cost. Once taken care of household responsibilities and you’ve paid a sitter it doesn’t leave a whole lot of money for going on a date. 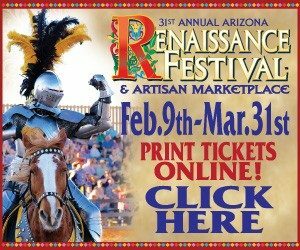 If you live in Phoenix, Arizona, you may not realize how lucky we are as there are tons of inexpensive things to do! 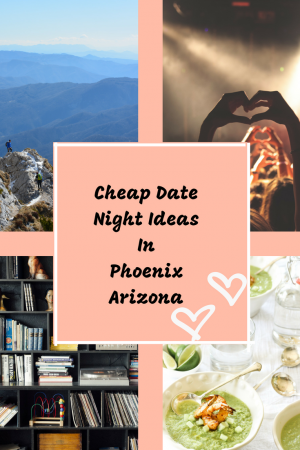 Create your very own inexpensive date night in Phoenix, Arizona with these fun ideas. Art is a beautiful way to express yourself. 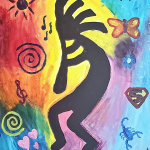 One of the best date night ideas is a mobile paint event with Vino and Canvas. For under 30$ each you get to paint your own picture. All supplies are provided and the instructor will walk you thru it and help you as needed. Spend some time with your significant other and paint a masterpiece. Another way to let your artistic side show is with create your own pottery. One of my favorite local places is Desert Dragon Pottery. They offer classes and just a fun place to enjoy creating your own pottery. Wine can be expensive but I had the pleasure of discovering a little craft drink and food place out in Goodyear Az. Its called Ground Control. For 8$ on Tuesday evenings you get to taste 4 different wines. And its not little sips, they pour a good amount. This is a perfect midweek inexpensive date. If wine is not your thing they also offer coffee and some yummy food. Try the Garlic Parmesan fries. You wont be disappointed. If you are a reader like me a trip to a bookstore can be the perfect excursion. Barnes and Noble is always a nice place to sit and look over a book with a cup of coffee. Another love is Bookmans. It is a used book store and has a amazing selection. They also buy and sell musical instruments. Changing Hands bookstore is also a used bookstore and has an attached restaurant so dinner and reading. Win win. If you enjoy a little mystery then a trip to a Escape Room could be perfect. Another idea is a Murder Mystery dinner. Both work your inner detective and let you work together to solve the clues. Phoenix is home to many museums. There is the Art Museum and there is even a Car Museum. Walking around with your significant other and seeing all the museums have to offer will not only entertain you both but will also provide something for you to talk about. Most people wouldn’t think that going downtown would be all the inexpensive, but it is! You can easily head to Downtown Phoenix and find some inexpensive things to do with your spouse. There are plenty of restaurants, bars, music venues, and museums. You just have to be choosy about what you’re going to do because these things add up fast. 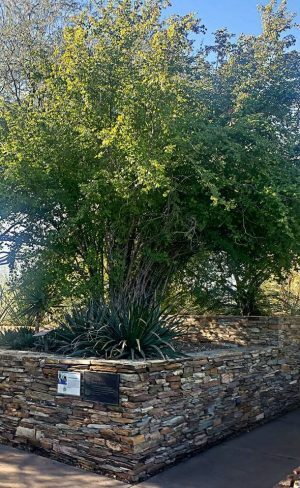 Yes, there are beautiful botanical gardens, even in the desert. The Desert Botanical Garden is the optimal place to sneak in an inexpensive date. They have different exhibits every month, so you can even make this something you do once a season. You may find joy in their butterfly exhibit or their adult workshops. Sometimes just going somewhere in which you can focus on your spouse is really all you need, but the beautiful botanical garden does help. First Fridays is always a good event to check out if you’re struggling with finding something to do. It is a FREE self navigated art walk thru downtown Phoenix on the first Friday of every month. There is always something free going on downtown, which makes for an inexpensive date night. This is one of my favorite spots. Wildlife World Zoo is inexpensive, usually has a Groupon available and has a amazing restaurant on site. You can ride the train or some of the other fun little rides they have there and just enjoy being together. Afterwards you can stop at Dillon’s. It is right at the zoo and features walls that are a aquarium. Enjoy dinner with your spouse while sharks swim around you. Its awesome conversation starter. Being Parents does not mean you have to stop being a couple. Date nights are vital to keeping that spark alive. 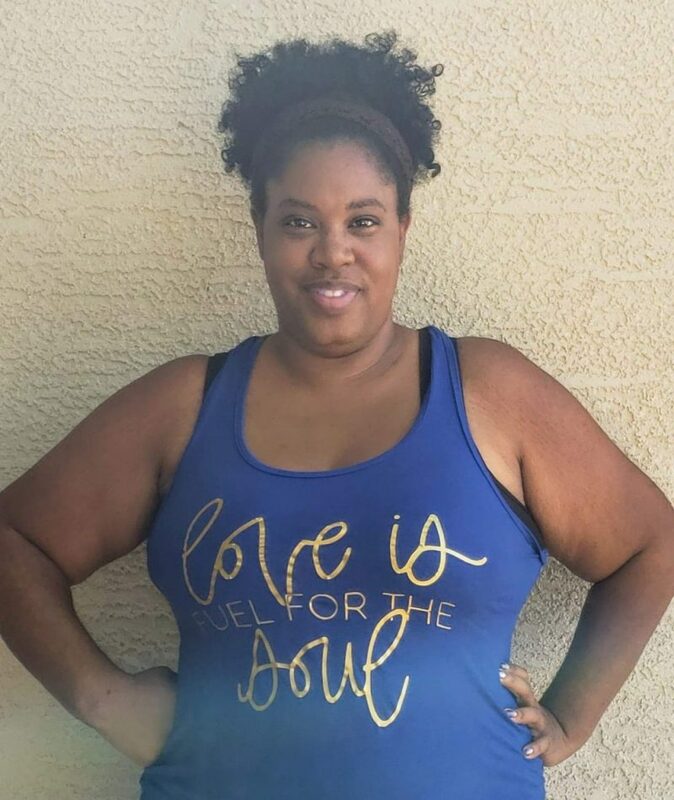 I hope you found a few ideas for fun inexpensive date nights in the Phoenix Arizona area.